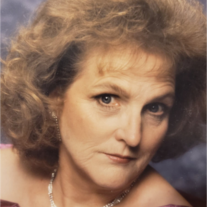 Betty Lou Creger Sims, of Logan, UT, passed away in her home surrounded by her loved ones Feb. 7, 2019, after a sudden illness. She was 82. Betty was born November 8, 1936, to Floyd and Margaret Creger, in Logan, Utah. She was the baby of the family. She was raised in Lewiston and graduated from North Cache High School in 1956. Betty married Arlond Sharp Jr. a year later. They had six children together, and divorced in 1967. Betty moved back to Logan where she met and married the love of her life, Walter T. Sims. They were sealed for time and all eternity in the Logan Utah Temple in 1970. Together they had a son. Walter and Betty loved each other deeply and she was heart broken when he passed in 2004. For the last 12 years she has enjoyed spending time with her companion, Garth Archibald. Betty worked at Del Monte, White’s Trout Farm, and for the past 20 years she worked in the cafeteria at the Logan Temple. Betty was a loving, kind and a loyal friend whose home was a safe haven where everyone was welcome. She will be greatly missed by all who knew and loved her. She is survived by her children, Robbie Sharp (Collen) of Nibley, UT; Cindy Barr (Jeff) of Tremonton, UT; Angel Romero of Logan, UT; Robyn Hedgecock (William) of Logan, UT; Paul Pendergast of Smithfield, UT; Tammy Hess (Curtis) Henderson, NV; Cory Sims (Dawn) of Logan, UT; and stepson Arthur Goldsmith (Francine) of Lake Stevens, WA; siblings Lorraine Zimmerman of Midvale, UT; and Wayne Creger of Lewiston, UT; 18 grandchildren, 14 great grandchildren, beloved foster daughter Lupe (Craig) Hardman, Logan, UT, and many nieces and nephews. She was preceded in death by her husband, Walter; stepson, Walter (Doc) Goldsmith; grandson, Christopher Gardener; and brothers Leon Creger and Melvin Creger. Funeral services will be held Wednesday, Feb. 13, 2019, at the LDS Woodruff Ward Chapel (940 Three Point Ave., Logan, Utah) at 11 a.m. A viewing for family and friends will be held Tuesday, Feb. 12, 2019, at the Nelson Funeral Home (162 East 400 North, Logan, UT) from 6 to 8 p.m. and from 9:30 to 10:30 a.m. prior to the funeral service. Interment will be in the Garden City Cemetery. The family wishes to express its appreciation to IHC Hospice for their assistance and care in Betty’s last days. Additionally, the family would like to express their gratitude for the outpouring of love and support they have received during this difficult time. Online condolences may be made at www.nelsonfuneralhome.com.